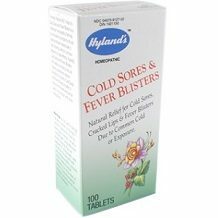 Today we review Hyland’s Cold Sores and Fever Blisters. For relief of the pain of your cold sores and blisters, this supplement provides a natural option. 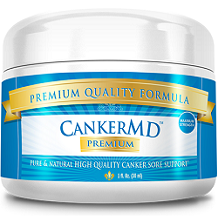 This supplement can also work for cracked lips and other types of mouth sores and ulcers. These ingredients are all homeopathic, making this supplement an all natural reliever. While some of these ingredients are shown to help with cold sores, they mostly just deal with pain relief, and not the actual healing of the sore or blister. Pain relief is an important part of helping these mouth ulcers heal, but there should also be some type of ingredient to shorten the duration or lessen the severity of the sores as well. For teenagers and adults, aged 12 and over, place 2-3 tablets underneath your tongue and allow them to dissolve. Repeat this every 4 hours as needed. Children aged 6-12 can take half of the adult dose. Infants and Toddlers under the age of 6 should avoid taking this supplement. If you are pregnant or nursing, you should consult with your healthcare professional before beginning this product. If the sores do not clear within seven days, or if they worsen during that time period, you should speak to your doctor immediately. This manufacturer does not offer the option to buy their products directly on their website. Instead, they offer a Where To Buy page that lists third party retailers. Amazon has a bottle of 100 tablets available for only $5.98, or $5.68 if you subscribe to their auto-shipment program. While this price seems cheap on first glance, 100 tablets of this product will not last as long as you would think. Taking even 3 doses of this supplement per day will only allow a bottle to last for 10 or 11 days. This makes the monthly cost closer to around $18. With such small amounts per bottle, this causes the need for constant reshipping. Like most manufacturers that do not sell their product to their customers, this company does not have any type of refund policy or money back guarantee listed on their website. Instead, if you find yourself unhappy with the results from this product, you will be stuck with whatever refund policy is carried by the third party retailer in which you chose. There are a few things we liked about Hyland’s Cold Sores and Fever Blisters. Each ingredient used is all natural, making this a homeopathic option. Additionally, this supplement is safe for children as young as 6 to take. Unfortunately, we had many concerns regarding this supplement. While the natural ingredients will help stop the pain of your cold sores and fever blisters, they do not offer any real healing. Secondly, the amount of tablets per dose is slightly high, and you need to take up to 4 doses per day. This also creates an illusion of a cheaper price for this supplement, but when you actually do the math, this is more expensive per month than other similar products. Lastly, as the manufacturer does not sell products directly to consumers, they also do not offer a guarantee or refund policy. For these reasons, we cannot recommend using this product to help heal your mouth ulcers.